Daniel L. Magill was born on December 14, 1955 to Donald and Judy (Miller) Magill in Blair, Nebraska. 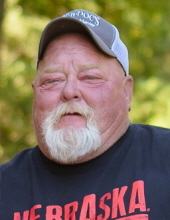 He passed away January 21, 2019, at UnityPoint Health – St. Luke’s in Sioux City, Iowa, at the age of 63. Dan grew up with his twin brother Randy on a farm north of Fort Calhoun, Nebraska. He graduated from Fort Calhoun Schools in 1974 and went to work for a cattle feeder while helping his father on the farm. Dan married Sheryl Jordan in June 1976. To this union one child was born, Kristin Elaine. On October 18, 1986, Dan and Therese were married in the Herman church, and their family was completed with Kristin and Lucas. Shortly after their marriage, Dan began his job running a hog confinement business. This began their life in Decatur. He was an avid fisherman and hunter. He loved the outdoors. His hobbies were gardening, camping and playing cards in his man cave. He also mentored so many young people. He loved them and they loved him. Dan loved animals. They were also part of his family. One of his big loves were the Nebraska Cornhuskers. Only a dire emergency could cause him to miss a game. He was a member of the Fort Calhoun, Blair, Tekamah and Decatur Volunteer Fire and Rescue Departments during his lifetime. He loved helping people and serving his community. Dan, Therese and family spent many years enjoying their camping and fishing trips. Many of them with Donna and Hymie Miller, Art and Brenda Stillman, his mom and dad, and for the last year, with his brother Randy. He was preceded in death by his grandparents, Guy and Charlotte Stricklett, Floyd and Grace Magill; father and mother-in-law, Bud and Elaine Jordan; brother-in-law, Jerry Warren; beloved Pomeranian, Frank. Survivors include his parents, Don and Judy Magill; wife, Therese “Ace”; daughter, Kristin (Marvin); son, Lucas (Andrea); sisters, Cheryl (John), Lorraine; twin brother, Randy (Linda); mother-in-law, Sharon (Don); sister-in-law, Penny (Brian); brother-in-law, Jimmy (Stephanie), Thomas. Grandchildren: Max, Kailee, Mya, Trey and Jaxon. Nieces and nephews: Tina, Angie, Brandi, Cory, Cindy, Eric, Ryan, Ashley, Jaden, Brenna, Jarrvis, Zane, Taylar, Jaycee, Madison, Melody, Jasmin, Bradley, Amy, Evan, Miranda, Allyssa, Declan, Allyssa, Allyvia, Mason and Mia. "Email Address" would like to share the life celebration of Dan Magill. Click on the "link" to go to share a favorite memory or leave a condolence message for the family.